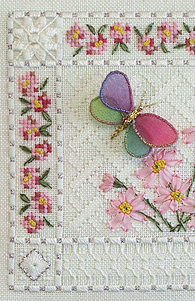 Two Butterfly Lace Sampler Acc Packs!! (Cut 10" X 10" for framing). This piece fits into Sudberry box top lid with 5” x 5” inside measurement. 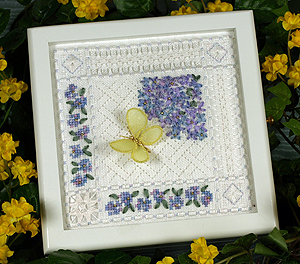 Butterfly Lace Sampler accessory pack. 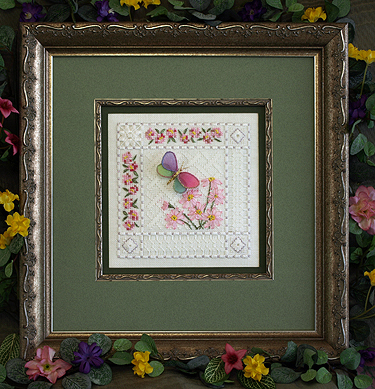 These packs contain plenty of threads and materials to complete the sampler!